Veteran producer and master of electronic kraut-funk, Burnt Friedman returns for another solo album after his acclaimed collaboration with David Sylvian, Stina Nordentsam and Arve Henriksson on the Nine Horses project. 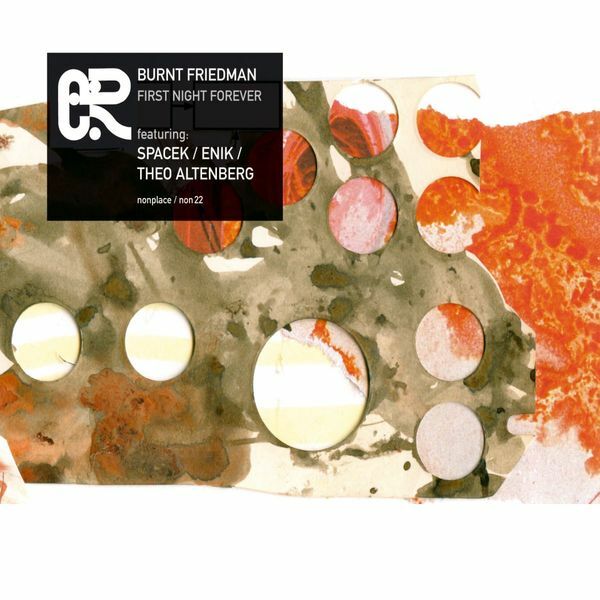 First Night Forever finds Friedman recruiting a number of vocal contributors, including Australian singer Steve Spacek, Funkstorung collaborator Enik, Berliner Barbara Panther and Daniel Dodd-Ellis. The productions themselves are the real stars here though, Friedman's multi-layered studio excursions sewing together detailed drum edits, misty horn sections and even the odd burst of strings when needed. There are some very peculiar moments on the album though, most of which come on tracks lent vocals by Theo Altenberg, an artist whose roots lie in the Berlin commune scene of the '70s. He makes a number of appearances on the album, seemingly styling he's hollered, gruff vocals on a hybrid of Tom Waits and James Brown, resulting in the screeching electro-gospel mania of 'The Healer' and dub freakshow 'Need Is All You Love'. Good stuff.